Ruth Ware has been very prolific recently, publishing 4 books in the last 2 years. Her latest, The Death of Mrs. Westaway, has been on every summer must-read list, and adds a Gothic bent to her suspenseful style. Hal is just getting by, making her living reading tarot on the pier near her home in Brighton, but the debt collectors breathing down her neck aren’t going to go away. When she receives a letter informing her her grandmother has passed away, she doesn’t know what to make of it. Her maternal grandmother died years before she was born, and she doesn’t know who her father was. But Hal is desperate for money, so she travels to Trepassen House, arriving in time for the funeral. What she finds there is far from what she expects. The Death of Mrs. Westaway has a Gothic feel to it, with the ancient house in need of repair, the almost equally ancient housekeeper with her own agenda, and more secrets than one house should be able to hold. The story twists and turns, as Hal hides her real reason for being at Trepassen House while also learning she didn’t know her mother, who died 2 years earlier, as well as she thought. 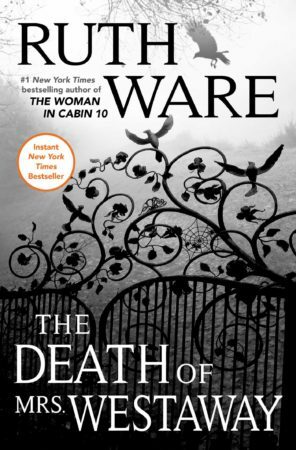 If you’ve enjoyed Ware’s previous books The Death of Mrs. Westaway will not disappoint. Notes on the audiobook: The print version of this would be a page turner but I listened to the audio, which adds greatly to the suspense. At just over 14 hours it’s on the longer side but it’s also one where you will hit your step count just to listen a little longer.